Extremely flexible 90 cm retractable cable lock. Perfect for your pocket. 2.4 mm vinyl coated twisted steel cable for lightweight security. Retracts into housing for easy storage. 90 cm long. 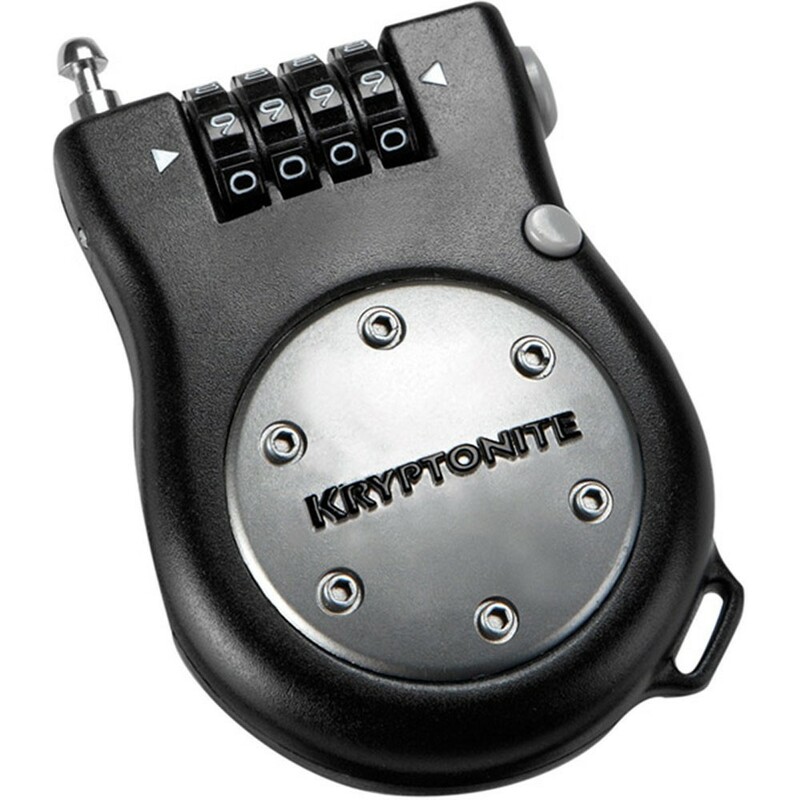 Reinforced lock head construction with patented 4-digit resettable combination and easy grip dials recommended for quick release components and accessory lock up.